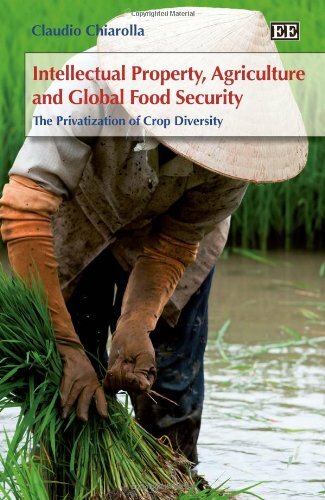 Synopsis: This well-researched book focuses on international governance of crop diversity and agricultural innovation. It highlights the implications that the future control of food, including access to agricultural resources and technologies, might have for global food security. Claudio Chiarolla analyses developmental implications of global regulatory reforms that impact on access to agricultural knowledge, science and technology for sustainable development. Current global arrangements fall short of halving the proportion of people who suffer from hunger in accordance with the Millennium Development Goals' framework. Therefore, the book proposes ways to achieve international equity in the way agricultural research is conducted, how its results are disseminated and the benefits shared. This definitive study will be appreciated by anyone interested in intellectual property, agricultural innovation, environmental policy, and biotechnology and associated regulatory challenges. It will be a valuable resource for policymakers and practitioners, legislators, academic professionals, civil society activists and scholars in legal, environment and development studies.